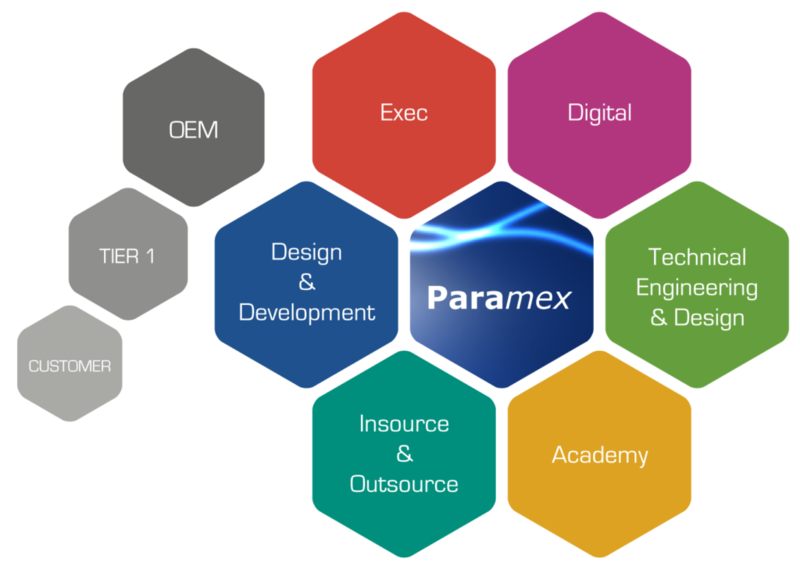 Paramex Exec are based in the Business Innovation Centre, due to our continued success we have expanded our current business and are reaching out our support to a wide range of companies and sectors. The benefits of developing a working relationship are that we are instantly available to support and become an onsite partner for all your requirements and needs. We are always happy to learn more about your business and develop a possible 2 way working relationship in the future. Paramex pride themselves on having a Professional, Experienced and friendly team who have successfully delivered above and beyond to their clients over 25+ years within the Automotive, Aerospace, Commercial, Electrical and Technical industries. Our services range from Full start-up’s support to programme and project management along with Executive resource teams to deliver Contract and Permanent requirements. We are situated here in Coventry and we would very much like to open our services to you for current and future opportunities or requirements that we could help you with.